Today is Going to be Awesome kitchen towel....A daily reminder for us all...great to have in the kitchen, the heart of most homes. 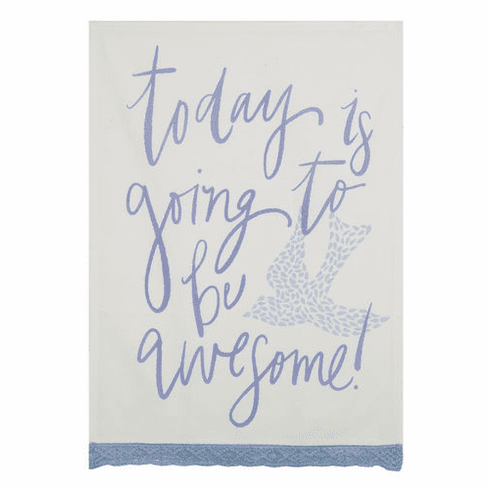 Today is Going to be Awesome kitchen towel is part of our daily affirmations collection. Measures 18 x 25"